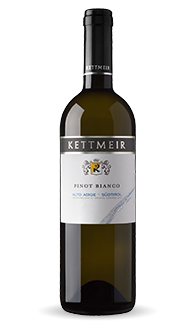 Tasting Notes: This wine has a bright golden hue with a refreshing nose that integrates classic pear and apple fragrances with elegant hints of floral and citrus. The palate, dry on entry, reveals substantial structure and lingering, refreshing savoriness that make this a versatile wine of outstanding personality. Food Pairings: A fine aperitif that is also a superb match for seafood salads, meat or fish-based starters served with succulent sauces, full-flavored soups, and white meats.